There is an app for almost everything, from booking a cab to ordering products online. With millions of apps downloaded per year, and users spending an average of 90% of their time on apps over websites, an app can be a fantastic investment for your business. 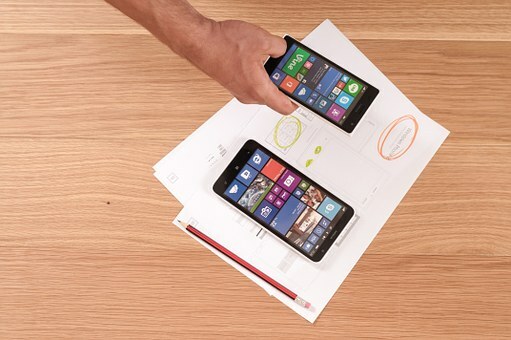 Check out our top tips on how to create a successful app. The best apps provide users with valuable experiences, which are focused on speed and convenience. From booking a table at a restaurant to using a voucher code on your products, your goal must be to provide seamless features that aid the customer, and not the business. Learn from your mistakes by listening to your users’ needs, and use their feedback to make any necessary improvements. Consider building distributed feature flags to quickly deliver new functions to an app, and there should also be a kill switch and the ability to run multivariate tests. It is your responsibility to monitor the customer journey from both a user and operational perspective. Consider the journey a user will make when using the app, and any potential problems that may thwart their experience. By tracking their journey, you will identify areas that need to be fixed and how users have reacted to any problems they have encountered, such as uninstalling your app. Always test the app on real users prior to the official launch. Ask a large group of users to use the app before providing valuable feedback, so you can make any tweaks or adjustments before it is released to the public. This will ensure you provide users with the best possible experience upon release. Unexpected errors can result in a user uninstalling your app for good or writing negative feedback that prevents others from downloading. Aim to resolve any issues as soon as possible, and communicate with users about the reasons behind an error and stating when it has been resolved. Fortunately, there are tools available to help you overcome any obstacles when you use the iBuild App System, as they provide LogMeIn 123 and remote computer rescue for free, which can provide remote support for you, your employees and technicians. Not everyone will believe in your app, no matter how good it may be. The one thing that will ensure your app’s success is passion and determination. If you believe an app fills a gap in the market then aim to fill it, and ignore any negative comments that come your way. Innovative brands will always have critics, but they also are not discouraged by them, either. Developing an app doesn’t have to be difficult. All you need to do is provide a valuable experience, consider the customer journey and resolve any issues along the way. With the right tools, mindset and action plan, there is no reason why you cannot create an app that everyone wants to download. This entry was posted in Web Apps and tagged app, development.